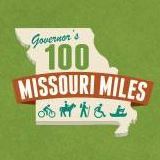 The St. Louis Bike Share Study was commissioned by Great Rivers Greenway District, in partnership with the City of St. Louis, St. Louis County, Metro and other key stakeholders. Great Rivers Greenway hired nationally-recognized bike share planning firm Alta Planning + Design to oversee the Study and write the final report. Assisting Alta with public engagement and outreach is St. Louis-based Vector Communications. * System Plan that recommends a phased service area for bike share (based on areas with high demand and/or need for enhanced transportation options) and siting-strategy guidelines.